Young Franciszek witnesses a church painting theft and films it. He is not going to reveal the perpetrator to the police, however, but to blackmail him. Helicopter Pilot: [in Italian supervising simulation] Follow the terrain. Good. Keep it perpendicular to the ridge. That's it. Under real conditions you might have to compensate for the wind here. Now, maintain you height. Watch your height, careful. Helicopter Pilot: In a real helicopter you can't just keep flying higher. Filippo: How high can I fly? So here we have a woman, Philipa Paccard (Cate `Fellowship of the Ring' Blanchett). She's out to kill a drugs lord, who indirectly caused her husband to die. She wants to blow him to bits, but her bomb ends up killing four innocents. Now she merely wants to finish her revenge. but imprisoned she'll need help. 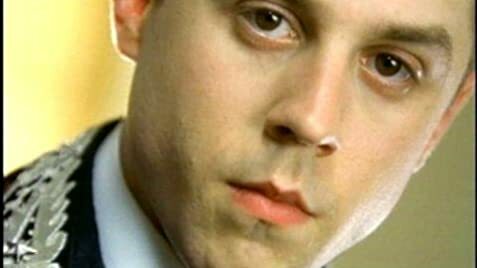 Enter young guard, Filippo (Giovanni Ribisi). Hmm. you see once you've got the plot. the movie doesn't go anywhere. It's a thriller/revenge story. and then it tries to morph into a love story. It's aimless though, a headless chicken of a beast, crashing about the place and circling all around itself (thematically). Character's motivations shift without any real good reason given (Blanchett wants to own up for her crimes, and then does not. Why?) The characters are grand enough but the relationship between Ribisi and Blanchett is entirely unconvincing - it's portrayed more as a kid crush that Ribisi has. This is the movie's biggest flaw - it's not going anywhere and ends up crashing (perhaps the opening sequence is a meta commentary on how the plot drives itself into a nothing of a dead end). It's not like that it's boring, it's more you're left at the end going, `Well what was the point of all that?' That's not good. Acting? Blanchett is an acquired taste - very subdued, much more sublime than a lot of other Hollywood faces. Here it suits her fine - she's a tired, defeated woman, with a small bit of steel still inside her. She does tend to drift through the movie a bit, as if not really sure how to grasp her character. Ribisi again is good, although a bit too fresh-faced to carry any real chemistry with his co-star. At least he gets to talk, for a large bit, in a language other than English. So is there anything to redeem this? Yup - the photography. Mmm - tasty! Director Tom Tykwer has some utterly wonderful shots - check out the gorgeous train motion shot, or the simply stunning twilight embrace later on. There're also some superb aerial and isometric shots. It's great for setting the atmosphere and distracting you from the aimless, drifting plot. It's all accompanied by a simple but pleasing musical score - basic piano, but mood setting without being distracting. The movie is also not too long so it doesn't overstay its welcome (so you do not become too irritated with its lack of focus). `Heaven' is, if nothing else, a breath of fresh air. It looks great, has a nice and sedate pace that is too often lacking in the flash/bang of the modern flick. The weak script means it cannot be anything ever great, but its worth a perusal if you fancy a change from the mundane. 6/10.